Home › Franchising › Should franchises join the 1% movement? Should franchises join the 1% movement? Recently I read an interesting article about the movement where businesses are contributing 1% of profit, 1% of time, 1% of product or a combination of all three to Australian not-for-profits or causes. Personally, I think this is a wonderful concept and as FranchiseED is a not-for-profit, social good is what we are all about. However, I was shocked that when I posted the article on LinkedIn and asked my network to tell me honestly, “Would you donate 1% of profit to a charitable organization or cause?” Only one person out of the 291 who saw it actually replied and said yes. My network is largely franchise related and it is well known that across the franchising sector, the majority of franchises and franchisors contribute to social good through donations. So why weren’t more people forthcoming in saying yes or no? It could be because the parameters of giving and disclosing them isn’t always a comfortable topic. At the end of the day, anything can help and there is an age-old debate about what is more powerful for social good versus what is more achievable for a business in regard to donating a portion or profit versus revenue. If the franchising sector were to contribute to the 1% movement, that could be an incredibly powerful thing. Think about this… if 1% of the franchising sector’s revenue was donated to charity, the total annual contribution would sit at around $1.4 billion. Can you imagine how much good that would do for the world around us? The question is, how willing are we to part with our cash and why should we do it? In 2015 Good2Give authored a report that found employer generosity with charitable projects boosts employee commitment and sentiment towards their employer. It also revealed that 90% of employees were proud to be part of organisations who run corporate giving programs. In 2017 a study of the Fortune 500 companies and 380,000 employees in America revealed that giving back is associated with greater employee retention, higher levels or brand ambassadorship on the part of workers and more enthusiastic employees. It’s no coincidence that the most successful organisations are also some of the most giving as they have better, more engaged relationships with the rising market of conscious consumers. Research showed that 70% of millennials will spend more on brands that support causes and a study earlier this year showed that 87% of Australians believe businesses have an obligation to do social good and expect it from brands. The point of Pledge 1% isn’t just to make a profit donation, but about looking at building social good and charitable giving into your entire organisational culture. We need to recognise that we can do more than just a percentage of profit and the options for both franchisees and franchisors and plentiful and incredibly meaningful. Committing to a portion of revenue provides transparency. This means that your donation is prioritised before the pay cheque, car hire or brand-new office coffee machine purchase, which is likely to resonate more with people. Revenue is trackable and traceable whereas profit can become a little cloudy, depending on what is being taken out of the business. Any portion of revenue is a transparent commitment that can make a difference. If each of your employees donated 1% of their annual work hours to a charitable cause then that would sit at around 18 hours for a full-time employee. There are so many instances where working hands are valued or education can be helpful and so many social good start ups, charities or local organisations can use mentors. By identifying ways your team can contribute their time to others, you can make an enormous difference. If you provide a product or service, who could benefit from it but don’t have the means to obtain it? The unused supplies your business orders can be donated to local groups to help run their organisations or raise money. 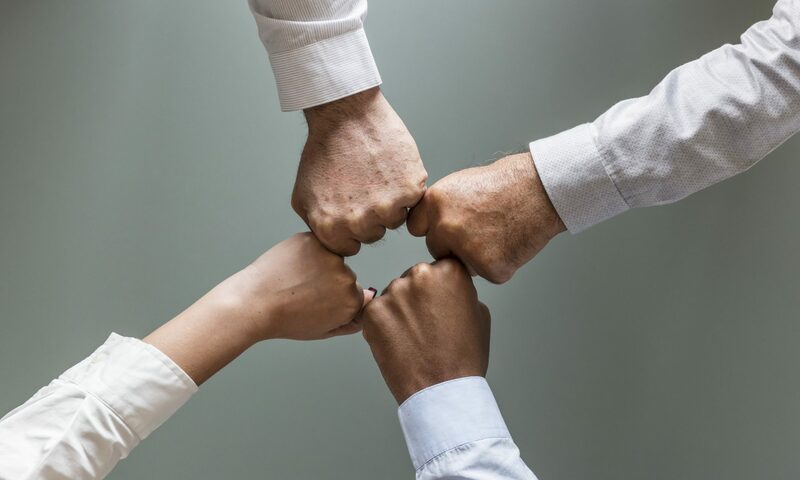 While the ways above often come down to the responsibility of the franchisees, there is so much that the franchisors can do to not only contribute, but to lay the foundations of doing good in the organisational culture. Matched giving (within reason) is one way to encourage franchisees to contribute to local organisations, support their donations and is a great way for franchisors to support franchisees. And alternatively, giving programs that franchisees are automatically part of can also work to combine the collective donating power of franchisees under the brand umbrella. At the end of the day, giving in any form is the best thing we can do and the Pledge 1% program provides a platform for franchise businesses to commit to making giving and social good part of their strategy. So, do you think your organisation will make the pledge? To learn more about the Pledge 1% Program, please click here.